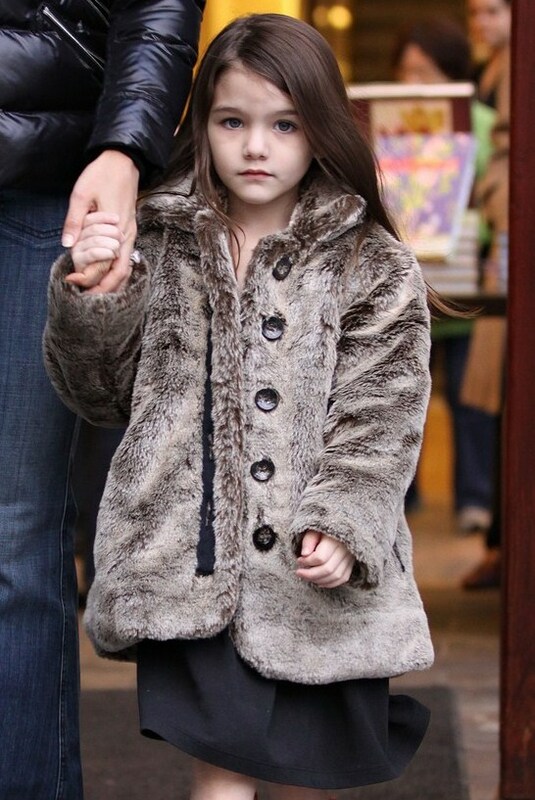 Katie & Suri: Shopping Day in Vancouver. Stocking up on food, Katie Holmes and her daughter Suri Cruise were spotted at a supermarket in Vancouver, Canada today (January 7). 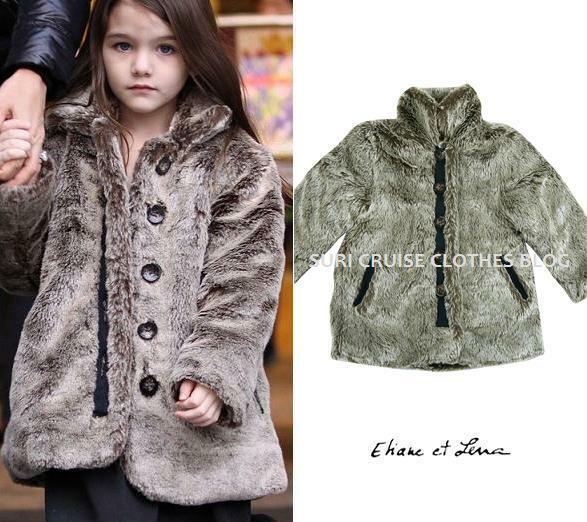 Suri wearing the faux fur Delicieuse jacket ($135.20) by the french brand ELIANE ET LENA KIDS. 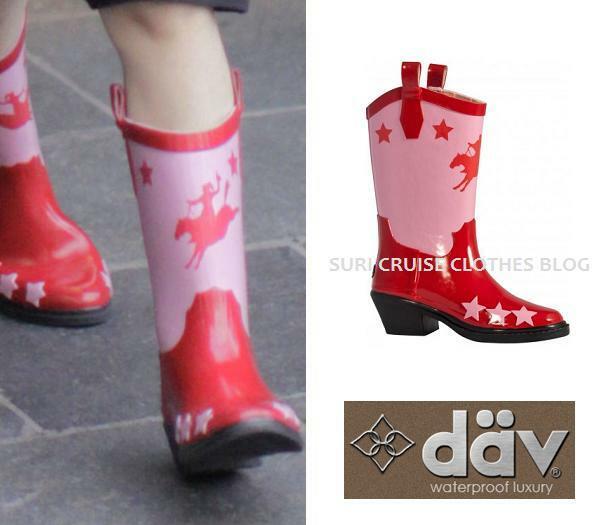 with the kids cowboy bronco rain boot ($39) by DAV. Tom gets a visit from his wife Katie Holmes and daughter Suri on the set of his film Mission: Impossible - Ghost Protocol on Friday afternoon (January 7) in Vancouver, Canada.